Nuclear technology does not help us: it is the source of a war nations have conducted against their own people and needs to be left alone. Watching this was a chilling experience. A short film, less than 15 minutes entitled A Time-Lapse Map of Every Nuclear Explosion Since 1945, by Isao Hashimoto. Set up in the style of a 1980s video game, the camera moves about the globe at first and then, as the action hots up, zooms out to show what has been happening on a global scale. As more countries enter the arms race their flags appear at the top with a score of how many nuclear devices they have detonated. What becomes clear is that, although no nuclear war has ever been declared, and no nuclear conflict has officially taken place, a huge number of nuclear weapons have been deployed. Unable to use them on other countries, the nations that have boasted these appalling creations have instead set them off as ‘tests’, often in their own countries and sometimes in countries whose territories they occupy or are ‘friendly’. The effects of nuclear ‘testing’ are not entirely clear. Not clear, that is, unless you happen to live in a place where they have been carried out (1). As early as 1958 a Russian nuclear physicist, Andrei Sakharov, carried out a study on the effects of fallout from nuclear tests on human health (2). Unsurprisingly his findings were suppressed. Much more recently, work by Black et al (3) identifies the effects of fallout from such tests on pregnant women in Scandinavia. Such research is important not only for exposing the injustices that have occurred at a regional scale. They also cause us to ask what the effect has been globally of so much nuclear activity over so many decades. We cannot know, because the impact is diffuse. We have no ‘control planet’, where no such tests happened, with which to compare ours. What we do know is that although radioactive particles disappear within weeks, the effects upon humans and other species remain for long periods of time (4), and the particles themselves can travel thousands of miles on air currents. We also know that nuclear weapons tests contribute significantly to climate change (5). Have we been attacked by our own forbears? The earth today continues to reel under the blow of so much irresponsible human behaviour. The effects are in our bodies and those of generations yet unborn. Yet no one takes responsibility. This is the reality of nuclear weapons. They have not kept the peace. They have been used in an unofficial war in which countries have deliberately exposed their own people and other species to terrifying risk and actual harm. Like the reserves of fossil fuels that we now know must be left in the ground (6), nuclear is not the answer to our needs. It is a dangerous, foolhardy technology that needs to be left alone. ￼ Dan Papworth is married with two children. From an early age he has had a deep love of nature, and studied first Environmental Science and later gained a Masters in Applied Theology. He was ordained in the Church in Wales in 1999 and has worked in hospital chaplaincy and parish ministry. 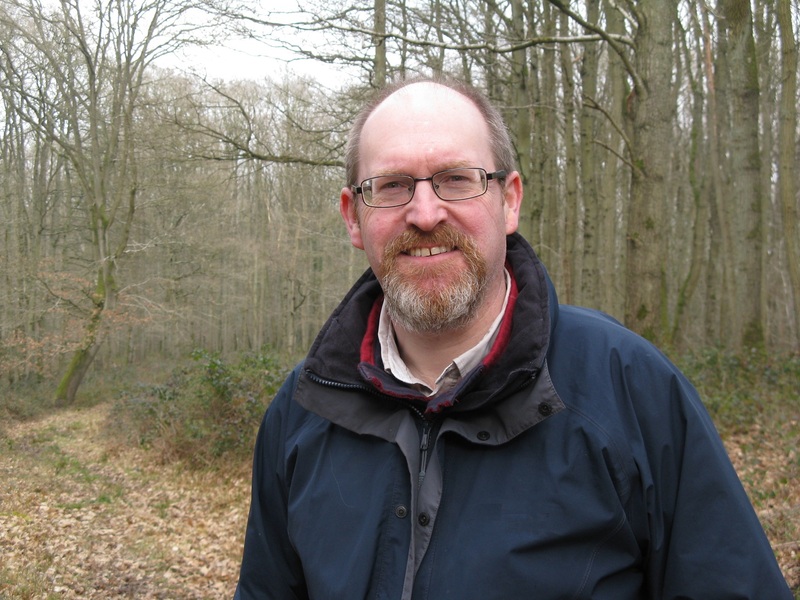 He has been part of Forest Church from its beginnings He left full time ministry in 2013 to concentrate on family, writing and spiritual accompaniment.